First we talk to Claire Michela and Tuviere Onookome-Okome of AMUSE, the Association of McGill University Support Employees, whose floor fellows recently won their first ever collective agreement. 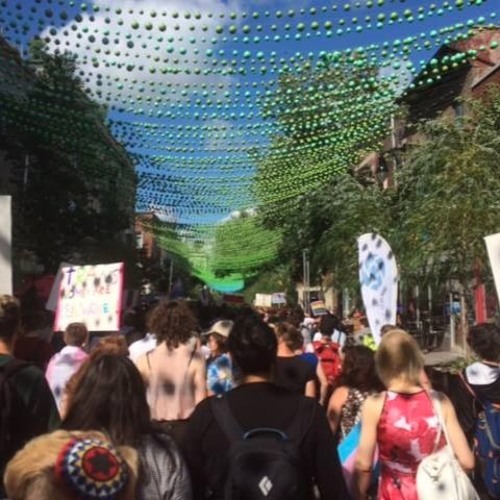 We then hear speeches from Jean St-Vil and Idil Esse at Montréal's "Welcome Migrants and Refugees" rally, as well as an interview with Anais Montenegro from Montréal's trans-march, who lays out the struggle of trans migrants to obtain legal documentation that corresponds to their gender here in Québec. Finally we turn to Venezuela, as former election observer and Venezuela solidarity activist Raul Burbano speaks in defence of the country's socialist government and recent constituent assembly vote.